By Thursday morning, the powered scooters seemed to be everywhere in the city's core, with riders zipping around Bricktown, Film Row, the Paseo, and the Plaza District. Now, at least one other e-scooter company is actively working directly with the city and a similar dockless bike system is also being proactively considered as part of the formally managed Spokies bike-share program. The term dockless refers to a class of motorized scooters and bikes (both electronic and human-powered) that do not require the vehicles to be returned to specific, designated areas. Rather, they can be left anywhere at the end of a ride which provides much greater coverage and convenience but often creates other issues such as cluttered sidewalks and poorly maintained and even unsafe equipment. Similar to ride-share programs such as Lyft and Uber, dockless bike- and scooter-sharing programs having been hitting U.S. Cities in an aggressive “don't seek prior permission” strategy employed by several start-up companies such as Bird and LimeBike. As with automobile ride-sharing, dockless scooters and bikes generally test various ordinances – or the lack thereof – by launching quick-strike pilot programs and dealing with the consequences after the fact. Cities worldwide are struggling with how to best deal with what can be an onslaught of new vehicles suddenly flooding streets and sidewalks. Various municipalities have attempted to ban or even impound scooters and bikes in an attempt to balance the public's desire to utilize the services while considering public safety and other practical matters. OKCTalk has learned that LimeBike is in the process of working with Oklahoma City to develop a formally sanctioned and permitted service around shared e-scooters. Yesterday, the City first became aware of today’s launch of a dockless scooter sharing service. The City learned about it in an email from one of the service’s competitors. The service that launched today also notified the City in an email about 10 a.m. today. City staff is working on an ordinance regarding dockless bicycle/scooter sharing, but has not yet been introduced to the City Council for consideration. Under current ordinances, using a City sidewalk for parking a scooter/bike for a scooter/bike sharing service requires a revocable permit. The service that launched today does not have one. The City is still evaluating its response. Through its Central Oklahoma Transportaiton and Parking Authority (COTPA), the City of Oklahoma currently offers the fully-managed Spokies docked bike-share program, where bikes can be checked out at designed racks and returned to any of 8 locations located in the Central Business District, Bricktown, Deep Deuce, Automobile Alley and Midtown. Recognizing the sudden rise of unmanaged dockless solutions, the city has been evaluating adding dockless smart bikes to the Spokies program. The specific option being considered would be to add dockless bikes from BCycle, the same manufacturer of the existing Spokies equipment. 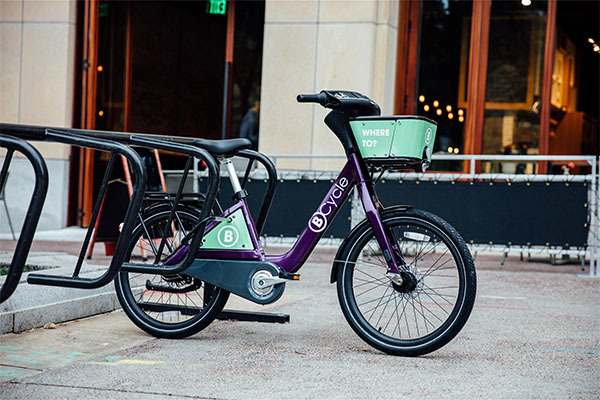 Under this proposed program, COTPA/Spokies staff would directly manage the “high quality and safe equipment” with the goal of greatly expanding the city's bike-sharing program without the current geographic limitations. 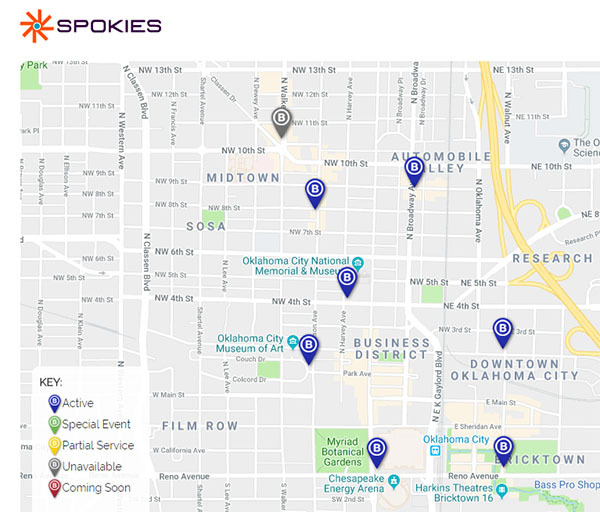 For example, Spokies currently does not have docking locations in Film Row, The Plaza or The Paseo, areas where local businesses and residents have lobbied for the service. 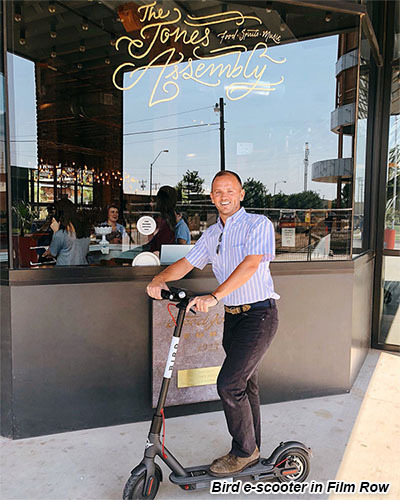 While the city continues to evaluate immediate and longer-term issues regarding scooter and bike sharing, social media is already flooded with reports of local residents riding the Bird scooters all around town, with generally positive reaction tempered with concern over safety and asthetics. 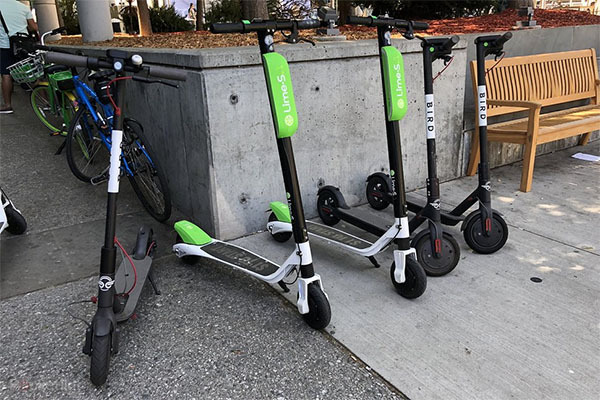 It is unclear if the city will look to clamp down on the Bird scooters while they continue to work towards more formally regulated sharing solutions.